There’s no doubt that this is an ambitious goal. The world’s health challenges are vast: public health needs, women’s health, communicable and non-communicable diseases, mental health and preventive needs. One measure of the effectiveness of health care is whether there are preventive disease outbreaks. If there are, that often means that there is a lack of access to health care, and limited education about basic needs. Ensuring access to meet these needs while protecting against prohibitive financial barriers is paramount to UHC. How countries deliver their UHC commitment can look different based on their local realities. For example, UHC in Japan looks different than it does in the UK or Scandanavia. In Africa, a trend for greater investment in UHC can be seen. Employers have a key role to play in working with local governments to help achieve their universal health care goals. 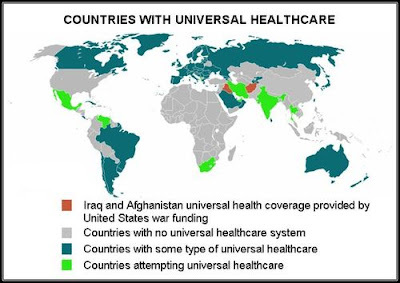 As World Health Day approaches, take a moment to think about your health care policies worldwide. The following suggestions can help you assess the quality of the health care you provide. ​Be aware and stay informed about local policy changes related to the national health care system and private health care. Do they have universal health care? Is it affordable? Is it accessible? Does it provide quality care? Are all demographics sufficiently included so that their needs are met? Does it cover preventive, mental, chronic and critical care needs adequately? How does supplemental private health care coordinate with the national health service? As employers, you can provide health care universally to employers and their dependents. Company- sponsored health plans and well-being programs can fill in gaps in coverage left by national health care systems. GBGH will continue to bring government perspectives to the forefront of products and services through embassy presentations and other products. Those who attend the Global Summit, will have an opportunity to hear a panel of representatives from country embassies discuss emerging trends, the sustainability of national public insurance and recent policy changes.